Ascending Butterfly: Winner Announcement - $25 Kohl's Gift Card Winner! 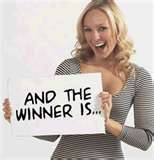 Winner Announcement - $25 Kohl's Gift Card Winner! Congratulations to 'cookie' (we post our winner usernames instead of full names, this is why it's in quotes) the winner of Ascending Butterfly's LC Lauren Conrad Collection for Kohl's Giveaway! Happy Shopping to you! We would like to thank our sponsor Kohl's. We would love to work with you again! Kohl's has some amazing holiday sales going on right now, so I would urge you to check them out for your holiday shopping needs, I have my eye on some sweet sweaters I saw on sale in the mailer this week! *Enter to win your very own 'Piece of the Puzzle' with leather cord necklace and an affirmation selected by YOU by pressing HERE! ty for my kohls card. this will help make my x-mas merry, lol.Love your site! !